Celebrating the “Star-Spangled Banner,” the U.S. National Anthem, has divided the country with fewer people watching NFL games because of protests by some black players who kneel on one knee during the song to protest police brutality. Moreover, many Americans don’t know the words. But South Africa’s national anthem, the rousing “God Bless Africa,” has been named the world’s best by The Economist, a British magazine. The Economist adds that too many national anthems, including “God Save the Queen” suffer from dreary harmonies and platitudes about being victorious and glorious. 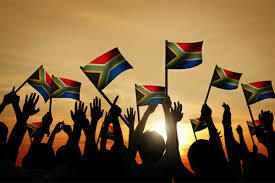 South Africa’s national anthem, “Nkosi Sikelei’ iAfrica,” creates its own world entirely. “The lyrics are taken from a protest hymn and the lyrics combine Afrikaans, English, Xhosa, Zulu and Sesotho in an act of musical healing for the Rainbow nation,” the Economist wrote. “The Star-Spangled Banner” is also considered racist because it celebrates slavery. National anthems from Brazil, Ukraine, Japan, Israel, Nepal, Germany and the U.S. round out the top 10, the Economist reported. Enoch Mankayi Sontonga, a South African writer and composer, wrote “God Bless Africa” when he was 24. He died in 1905. President Nelson Mandela declared Sontonga’s grave a national monument on September 24, 1996.